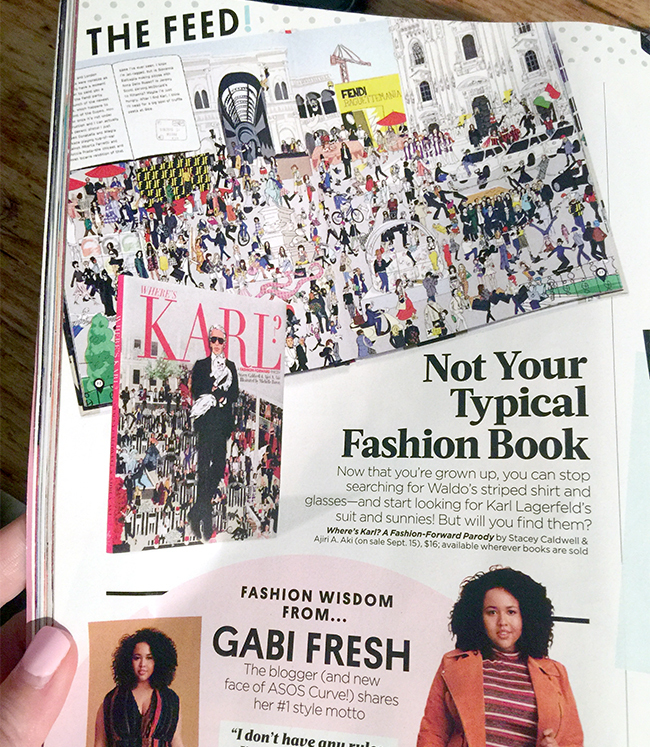 Featured in People Stylewatch Magazine!!! I hinted a bunch of times last year about a super secret job I was working on and literally couldn't share anything about it with you. And considering how excited I was (and still am!) it was really REALLY hard not to share. Well, today I am SO happy to share that job with you!! I had the privilege of working on the illustrations for an Amazing book, Where's Karl? A Fashion Forward Parody that is coming out September 15!! You can pre-order your copy anywhere books are sold! Where's Karl? 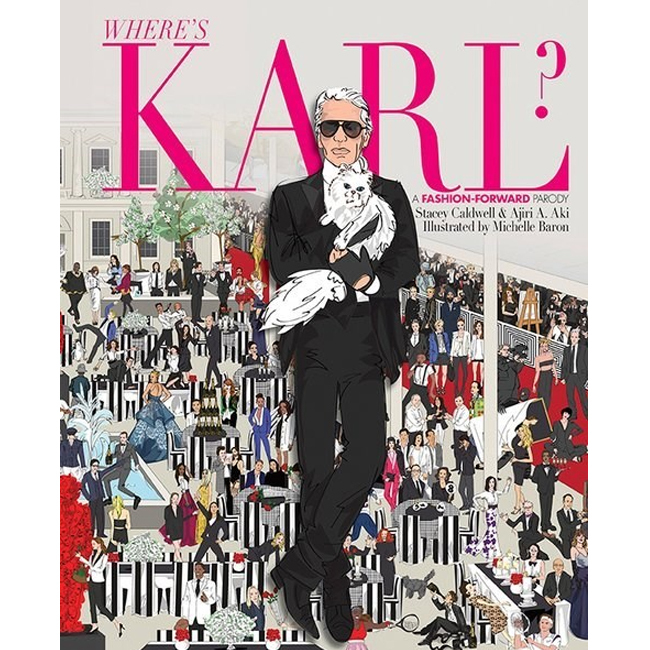 is about Karl Lagerfeld the iconic fashion legend and is a parody of the Where's Waldo books I'm sure you loved as a kid (I know I did!). For the back story, a little over a year ago, I was contacted by the amazing Ajiri Aki, a fashion video producer based in Paris, and Stacey Caldwell, Vice President of Global Wholesale at Thakoon, about being an illustrator for a book they co-wrote being published through Potter Style a division of Random House! I remember thinking "seriously!? Pinch me!!" Just to even be considered for this was amazing. So I worked for a few weeks submitting artwork in order to be considered and eventually I was selected as the illustrator. Over the months that followed I worked closely with Ajiri and Stacey creating the 15 scenes from the book featuring hundreds of fashion and celebrity icons following Karl's travels around the world. And in a little over two weeks this book that we worked so hard on will be a reality! I am still thinking "Seriously!?! Pinch me!!" Maybe even more now then I was then! The Synopsis: Always on the go, Karl Lagerfeld is everywhere and nowhere all at once. 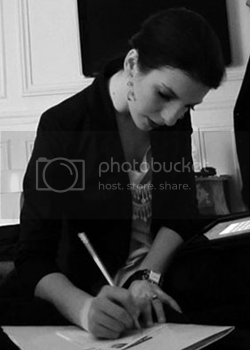 Now, fictional fashion blogger Florence de la Sabine (you can call her Fleur) must find him-- surely an interview with him will set her website apart from the rest. But where will he turn up? 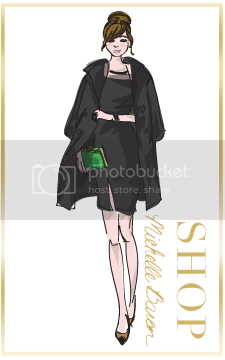 Roll up your Alexander McQueen skull sleeves and bust out your vintage Chanel monocle as you follow Fleur all around the world's hottest fashion scenes searching for Monsieur Lagerfeld. Is he at The Met Gala in New York City? Strolling Coqui Coqui Beach in Tulum? On the slopes in St. Moritz? Directing a photo shoot in Dubai? In these stunning, full-color illustrations, you'll spot all of the industry's finest glitterati along the way, turning this book into a full-on game of who's who from Anna Wintour to Beyonce to Woody Allen to Kim Kardashian to Suri Cruise to Prince William, and many, many more. You can follow along with other readers and Karl fans on Instagram @whereskarl, on Twitter @whereskarlbook, and on facebook at Where's Karl! I hope you enjoy and order lots of copies!! Hi there... last I blogged it was my due date and I shared a maternity inspired Fashion Illustration Friday. 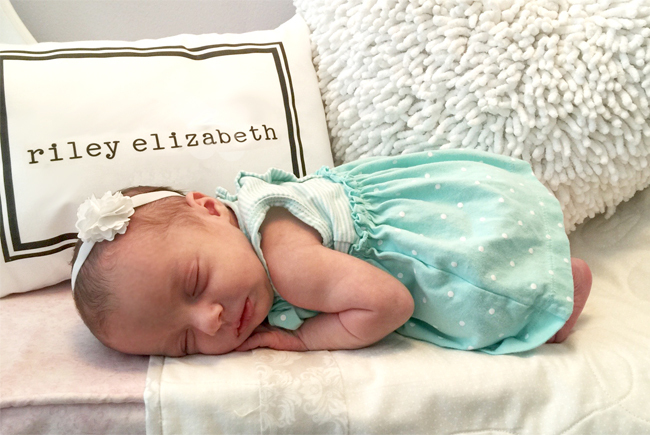 That day I felt like I was going to be pregnant forever and the baby didn't seem to want to go anywhere anytime soon... well what a difference a day makes because the next morning, August 8 at 9:15 am, my lovely Riley Elizabeth was born! Over the few weeks since then I've just spent my time getting to know and enjoy her and figuring out my new world as a mom. It's been pretty incredible and I swear the more I look at her the more in love I am!! So today I'd like to introduce you to my beautiful daughter, Riley meet readers, readers meet Riley! Fashion Illustration Friday - Maternity Edition! Well let's just start by saying I don't look at all like this pretty lady. I'm like the shorter rounder version of her (also the one wearing flip-flops, a comfy tent like dress and no jewelry) but still a girl can dream can't she!? I felt like since today is my due date, although baby doesn't seem to want to be going anywhere anytime soon, it would be nice to do a maternity inspired Fashion Illustration Friday. I haven't done one my entire pregnancy and thought I should before it ends. I hope you enjoy and I hope you have a wonderful weekend! So as a form of shopping without actually buying anything I decided to share some items in my shopping cart that I'd like to buy as I start to loose the baby weight over the coming weeks and months. These items include a great floppy hat (I'm loving the gold chain on this one!! 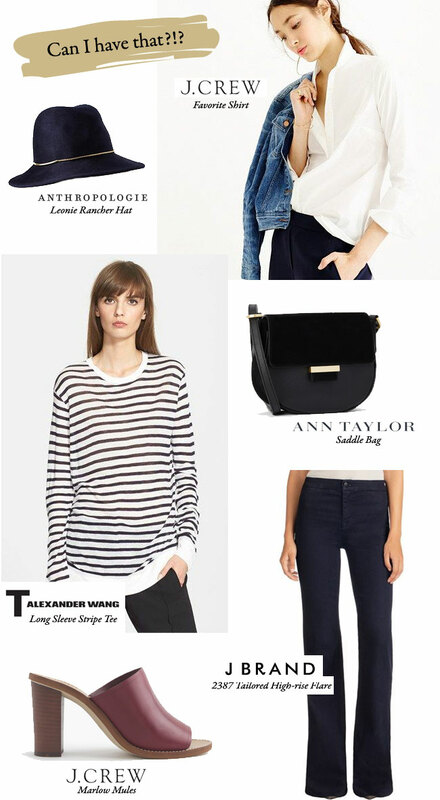 ), wear anytime white blouse, easy cross-body saddle bag, perfect striped tee, a great pair of flared jeans, and comfy mules. Get your Ice Cream Social Print Here! 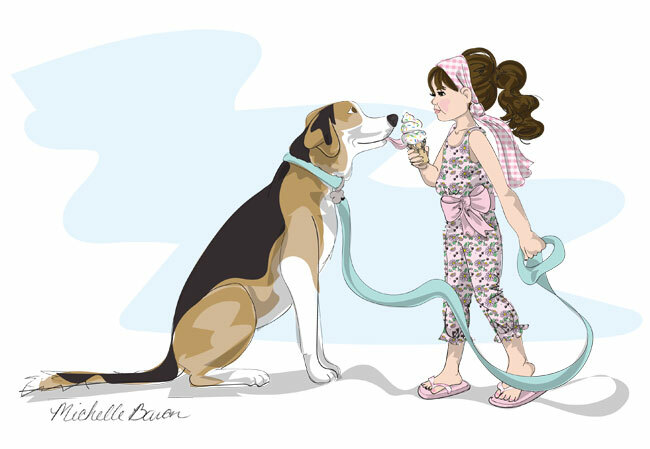 For those of you who follow me on Instagram you've seen the version of this "Ice Cream Social" art print (the one below) that I created for my nursery. Well knowing how unique my dog is, he is a beagle husky mix that we rescued about seven years ago, and very few people out there have a beagle husky mix, I thought it would be best to make this more universal. So above is the print as it is listed on etsy. I changed Hamilton to be an adorable golden retriever. And, just like all of my Petite Chic prints this Ice Cream Social print can be customized with various hair and skin combinations to fit any child. 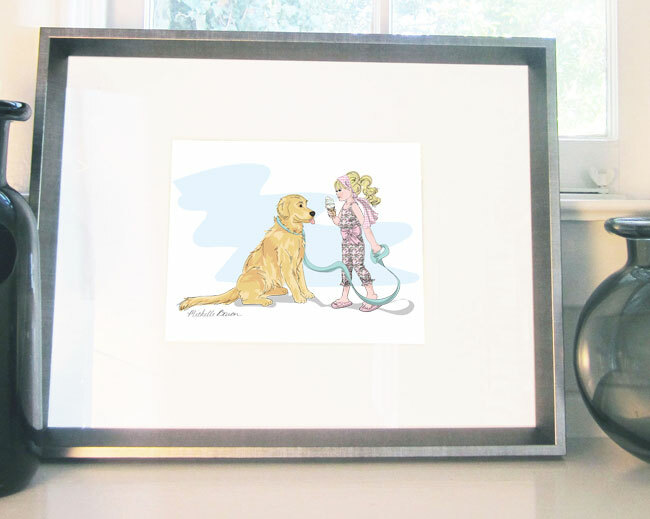 I plan to add to the listing in October with a part that you can customize the dog to be a buyers personal pet but for now, while I'm taking a break from custom orders for the next few weeks, I haven't listed that part yet.